Dr. Sarfaraz obtained her undergraduate degree in Microbiology from University of Maryland at College Park and received her Doctor of Dental Surgery degree from University of Maryland at Baltimore in 1996. She has been treating patients in her office since 1998. She has always been committed to treating her patients as if they are an extension of her own family. She truly enjoys what she does and provides her patients with the highest quality of care in both cosmetic and general dentistry. She is known for her gentle chairside manner, soft touch, and pride in making each visit as painless and comfortable as possible. Dr. Sarfaraz is up-to-date with all the latest continuing education courses. She is Invisalign certified and is a member of the Dental Organization of Conscious Sedation (DOCS), the American Dental Association, and the Southern Maryland Dental Society. Dr. Ayati has received both her bachelor’s and D.D.S. degree from University of Maryland. She has been practicing dentistry since 1995. 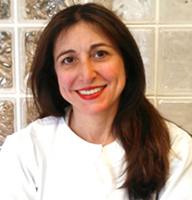 Dr. Ayati has been nominated in the Washingtonian and Virginia Living magazines as “Top Dentists” since 2009. She is an active member of The American Dental Association and Northern Virginia Dental Society and has served as a representative in the House of Delegates. She is also an active member of American Society of Implant and Reconstructive Surgery (ASIRD). Dr. Ayati is married and has two children. She is an active participant of nonprofit organizations such as Kids A Smile, Daily Bread And Food For Others and Virginia Society Dentures For Underprivileged. 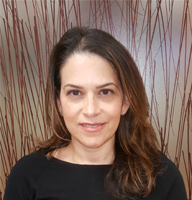 Dr. Ayati loves to read books and has been a member of a book club for 12 years. Ask about the latest book she has read. She has great recommendations! Ali Kafashzadeh, DMD, MBA, graduated from the University of Pennsylvania School of Dental Medicine. Dr. Kafashzadeh followed his training with an Advanced Education in General Dentistry at Temple University, where he completed training in advanced implant dentistry, prosthodontics, oral surgery, root canals, and cosmetic dentistry. Dr. Kafashzadeh brings passion, excellence and uncompromising quality to all of his patients regardless of the extension of the procedure, minor or major. 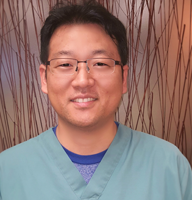 He enjoys providing healthier mouths and improved smiles for his patients as he is a big believer that oral health and overall health are intertwined. Dr. Kafashzadeh is an active member of several organizations with focus on higher standard of care. He is proactively involved in the community through multiple initiatives. In his spare time, Dr. Kafashzadeh enjoys spending time with his wife and his family. He is an avid traveler and enjoys watching movie and playing basketball. Dr. Park graduated from University of Toronto in Canada where he earned the degree of Doctor of Dental Surgery with honors. He finished his Periodontics specialty program and Master’s Degree in Oral Biology at the University of Michigan. He was awarded the Lazzara Fellowship by both the American Academy of Periodontology and the Official Association for Periodontics Specialists in USA, which is given to only one post-graduate periodontics specialty resident each year for excellence in implant surgery and prosthesis. Since 2005, he has been a board-certified diplomate by the American Board of Periodontology. He served as a full-time assistant professor at the University of Michigan and the University of Maryland for the graduate periodontics program for over 6 years and is currently practicing together with Dr.Sarfaraz to serve the Germantown community. He provides management of periodontal disease (“gum disease”), restores oral cosmetics, reconstructs single to full-mouth missing conditions, and manages the periodontal/implant surgical complications. Professional Affiliations include: American Board of Periodontology American Academy of Periodontology University of Maryland Department of Periodontics Dr. Park’s major accomplishment throughout his career includes scientific publications in numerous internationally recognized peer-reviewed journals, including Journal of Periodontology, Clinical Oral Implant Research, International Journal of Oral Maxillofacial Implants, Implant Dentistry, and more. He has participated in and won numerous national clinical research competitions. His sub-specialty is bone regeneration for preparation of implant placement. 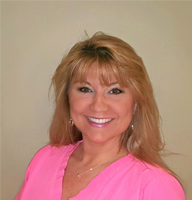 Rochelle has been a dental hygienist for over 20 years. She grew up in Pennsylvania then moved to Maryland where she became a registered dental hygienist. Rochelle creates a relaxing environment during your visit with her warm and outgoing personality. 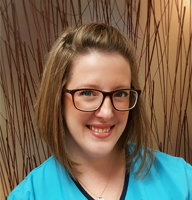 She strives to provide the highest quality of care and truly enjoys educating her patients on good oral hygiene while catering to each individual’s needs. 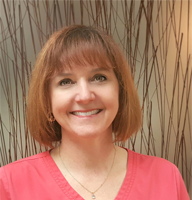 Susan has worked in the dental field for over 18 years, both in general dentistry and orthodontics. 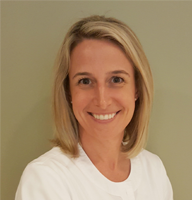 She has been practicing dental hygiene since 2010, and she is also licensed to administer local anesthesia. Susan truly loves educating her patients on oral hygiene and helping her community. Susan is originally from Indiana, and relocated to Maryland with her husband where they have raised their two sons. 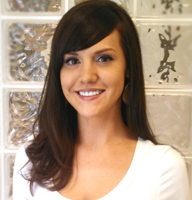 Lauren has been practicing dental hygiene for over 10 years, and has been in the dental field for over 15. 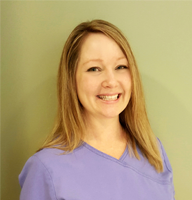 She enjoys making connections with her patients and strives to provide exceptional service with an up-beat positive attitude. Providing periodontal therapy and encouraging patients to achieve their optimal oral health is one of her goals. Lauren enjoys educating patients on the “mouth-body” connection, describing different restorative options, and demonstrating improved hygiene techniques. Lauren’s favorite past times include exercising, indulging in good food, and most of all spending time with her husband and two young boys. Kim has been practicing dental hygiene for 23 years. She was born and raised in Pennsylvania. After hygiene school she moved to Connecticut where she practiced for two years before moving to Maryland in 1995. She is licensed in two states and the country of Australia. Kim enjoys educating her patients and creating a warm environment so her patients are at ease during their time together. Because she takes such pleasure in dental hygiene she aims to provide the utmost quality and personalized care for our patients. 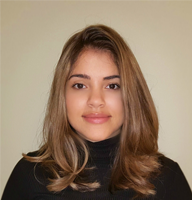 Nadia is a Certified Dental Radiation Technologist and a Qualified Expanded Functions Dental Assistant who has been working in the dental field since 2005. Her caring and nurturing personality helps put patients at ease. Nadia takes great pleasure in explaining each procedure and answering any questions patients may have. Giselle is the office manager and general “go-to” person at Advanced Dental Center. Giselle is always pleased to answer any billing and insurance questions, as well as explain more complex dental procedures. Kyle attended Johns Hopkins University, where she earned her Bachelor’s in Business Management and Administration. 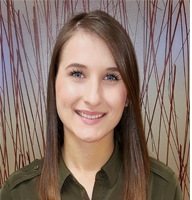 She is well versed in all areas pertaining to the dental office and makes every effort to ensure that patients receive exceptional service while obtaining the highest quality of care.